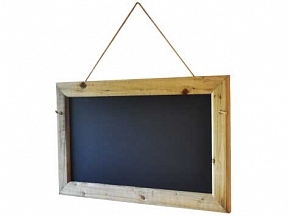 Manufactured by HFE Signs from heavy duty pressure treated timber and supplied with hanging rope this chalkboard is sure to give you that ‘rustic’ look. This product is ideal for your farm shop, tearoom, café or country pub. 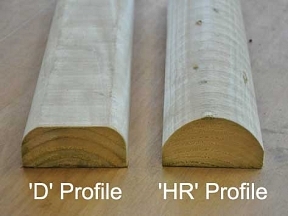 Available in ‘D’ Profile or ‘Half Round’ Profile wood to offer a slightly different look. Chalk panels that are suitable for both traditional and liquid chalks. The panel itself is made from a rust and corrosion proof aluminium composite providing temperature stability and can be repainted with standard chalk paint in years to come. 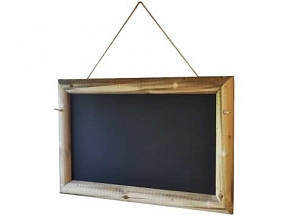 Create that country rustic atmosphere and display your specials in style. Note this product is made from Rustic wood, its weight is variable depending on the water retention within the wood itself, the weight will be anything between 12kg and 16kg. 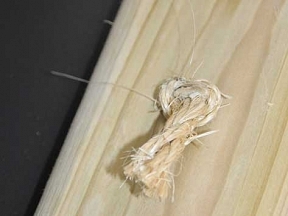 As it is manufactured from natural materials it may contain splinters, we do take care to smooth any rough edges however we cannot guarantee them to be splinter free. Due to the moisture retention it is possible that the sign may twist and distort very slightly as its water content changes, this is perfectly normal with this kind of product. Should you wish to discuss further feel free to contact us. Please note – Due to drying out, all the products in this section may twist slightly and the gaps in the joints may not always align completely. This is normal with this type of wood and will not affect its strength in any way.